Unless you’ve been hiding under a rock for the past few weeks, you are all aware that the harassment to start purchasing my second book Keeping House is upon us. 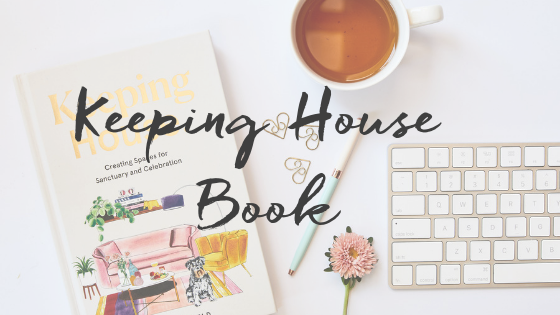 I started writing Keeping House just over a year ago, and now we’re weeks away from seeing it on bookshelves across the country (then a few months later, across the world!). When my publisher asked me to come up with a concept for book number two, I thought I had a clear idea of what I wanted to write. I sat down one afternoon and wrote out a brief synopsis and had a crack at writing a rough table of contents. After a few hours of playing around with the concept I looked down at what I’d been scribbling out and realised I didn’t love it, I didn’t feel passionate about writing what I’d been brainstorming. Writing most books takes a significant amount of time and patience so you really do have to be passionate about what you’re writing because if you’re not, you’ll hate the entire process. I knew looking at what I’d written, it would be a tough five months to write something I wasn’t in love with. Whenever I’m not totally feeling it, I change my scenery, go for a walk or talk out my ideas. This happens every now and then when I’m coming up with a new scheme or concept for a residential decorating client project and sometimes the ideas just don’t come that easily as others. I put my runners on and headed out the door. I rang my mum and told her I wasn’t loving the concept I’d come up with and could she listen to me talk through my ideas and give me some feedback. I spent the next 45 minutes walking around the Sydney harbour foreshore on the phone to mum and by the time I got back home I’d completely changed the direction of the book. What was funny was, a few weeks after Home came out in 2016 I actually sat down and hand wrote about 8 pages of notes and had forgotten that I’d written those notes out. When I got back home from my walk I dug the notes out and realised that was exactly the book I needed to write – a meaningful, resource guide for the younger generation to set up their first home from scratch, showing them what makes a house a home and with a focus on entertaining at home without annoying the neighbours (and getting your bond back!). As soon as I’d worked out the concept, I got the table of contents down and then over the course of the next five months, I dropped content into each section until it felt like it was finished. I’m never given a word count, I’m free to write as much as I like until I feel like I have completely exhausted the topic.. I wrote just over 30,000 words which ended up as 208 pages of pretty content that all you lovely humans will get to pour over in a few weeks. I have a lot of people ask why it takes so long to produce a book. It’s not a process that can be rushed, once I write the manuscript it then goes to an editor to read and make any suggestions in terms of content placement and tweaking and changing certain areas of the book. Once that process is finalised the illustrations need to be drawn. There’s a fair bit of back and forth on that process to ensure the content works with the illustrations on each page. This time around we used illustrator Juliet Sulejamni of The Juliet Report to draw all the cute pics inside the book. Juliet is known for illustrating a very cute character called “Girl” which features across her Instagram feed heavily and the Hardie Grant team came up with the idea of having Juliet draw me and my dog Alfie to show someone really using the spaces I’d been writing about. Do you think I did a mega happy dance when reading that I’d become a cartoon character. You betcha! After the illustrations are finalised, the cover gets designed (and changed a couple of times before it’s signed off on by everyone). I’m so lucky that the teams I had for both books just totally “got” what I was trying to achieve with both books and knew what the book needed to look like. Every time I got an email from the Hardie Grant team I’d pretty much squeal with excitement at the illustrations or cover mock ups I’d been sent. Then it goes to print and we make a marketing plan of attack behind the scenes before it’s rolled out officially through bookstores across Australia. My hopes for Keeping House is for it to be a book every young person is given upon moving out and they take it with them through their lives helping them set up a home and plan all sorts of celebrations and parties in their happy spaces. 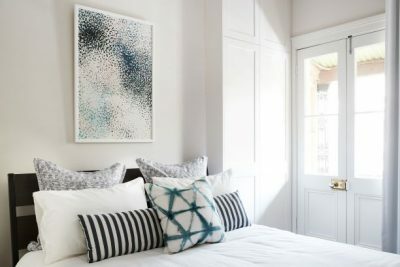 I’ve worked with hundreds of clients to make their houses feel like homes and seeing how much difference a thoughtfully decorated space makes to that person’s life (without having to spend a fortune) is the reason I do what I do. 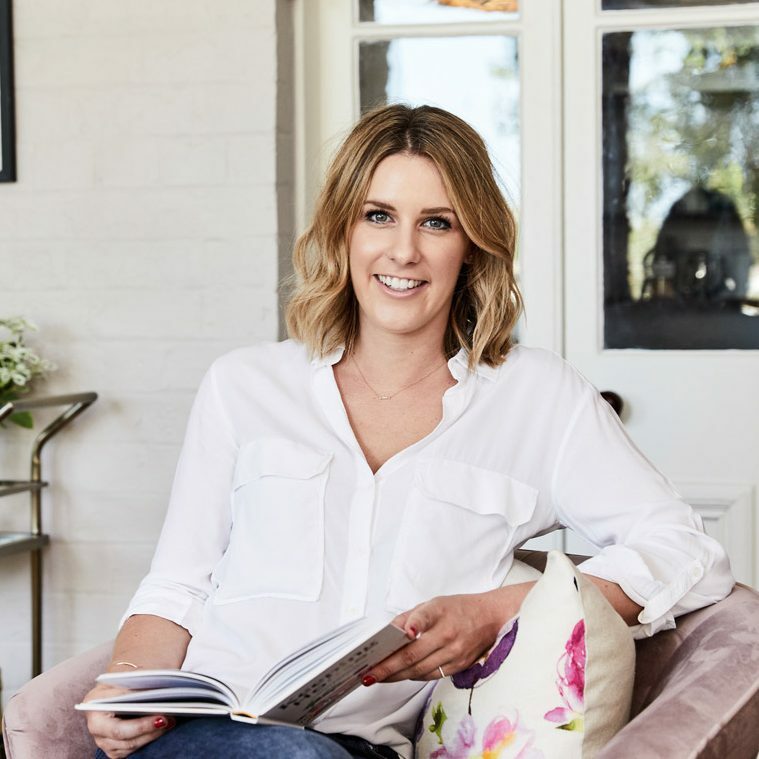 Writing a book about what that looks and feels like allows me to share more of what I’ve learnt in my career and while setting up my own homes, on a larger scale. Now, pretty please go and buy a copy so I can spread my love of creating a cosy home all over the world! I do a happy dance every time one gets sold (true story).